pureTRAIL running events have been created by two experienced, passionate, South Devon based Trail and Ultra Distance runners, located on the southern fringes of Dartmoor. We believe that roads are for cars, not runners, so we keep road use to an absolute minimum in our attempt to create the ultimate Trail running experience. We believe that the events should be for runners, not organisers, so we spend our time meticulously planning the routes, and organising simple, pleasurable races over Southern Britain’s last wild place, Dartmoor. We aim to bring experienced and novice Trail runners into the natural Dartmoor environment by offering Trail races varying in distances of between 10 and 100 miles. From the short, sharp, explosive ‘Volcano Race’ of 10 ‘Moorish’ miles with nearly 1800ft of climb, to the Ultra Trail of Dartmoor.. the Dartmoor 100′, a circumnavigation of Dartmoor. The Ultimate test of endurance in Southern England. Simplicity is our concept. To get runners off the road and onto the Trails. To explore, to experience, to empower and to have fun with running through nature. To begin our journey, every Wednesday evening we guide runners of all abilities around the Tracks and Trails of Southern Dartmoor and surrounding areas. We have created the PureTrail Running Group. Our first run was from Haytor in April 2015 and people arrived from almost 30 miles away. We are now attracting a growing number of runners each with between 10 and 27 in recent weeks. Everyone is welcome, the guided runs are free of charge. Just bring enthusiasm, a sense of adventure and your trail shoes. Since we started Wednesday night runs we have only missed a handful of evenings in 4 years. It’s now time to ditch the head torches again as the nights get lighter…….hooray! See Wednesday Night Runs section on the Menu bar for our weekly location. 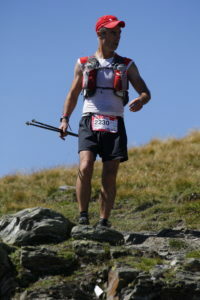 Significant race finishes include Ultra Trail du Mont Blanc 2008/09/10/12/15/17. TDS 2011, Lakeland 100 2009/’13, Spine Challenger winner 2012, Transvulcania 2014, Transgrancanaria 2016, Ultra Trail Monte Rosa 2016, Lavaredo Ultra Trail 2017, Haria Extreme 2017, Arc of Attrition 2018, Arc 50 2019, LDWA Camel-Teign 100 first place 2013, SDW100 2015, Apocalypse 100 2015, Roseland August Trail Plague winner 2015, The Fellsman more times than I can remember, and numerous Mountain Marathons including OMM (Elite class), LAMM and RAB. Significant race finishes include TDS (Sur les Traces des Ducs de Savoie) 2013+2015+2018, Ultra Trail du Mont Blanc 2012, South Downs Way 100, The Fellsman, Lakeland 50 four times, Wye Valley 50, Brecon Beacons 40, The Druid Challenge and Pembrokeshire Coast (3 marathons in 3 days). 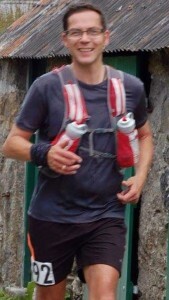 Although my favourite event is an LDWA Chagford Challenge which I have ran the last 8 consecutive years. January 2020 – Spine Challenger 100 miles to ‘celebrate’ my 50th birthday!